The dedicated fans who’ve been running Toontown since Disney shut down the family-friendly game back in 2013 aren’t just maintaining the MMO, they’re improving it. The newly-released “Options Update” for Toontown Rewritten finally gives players the ability to rebind controls and walk instead of run. It’s adorable how excited the team is about it. 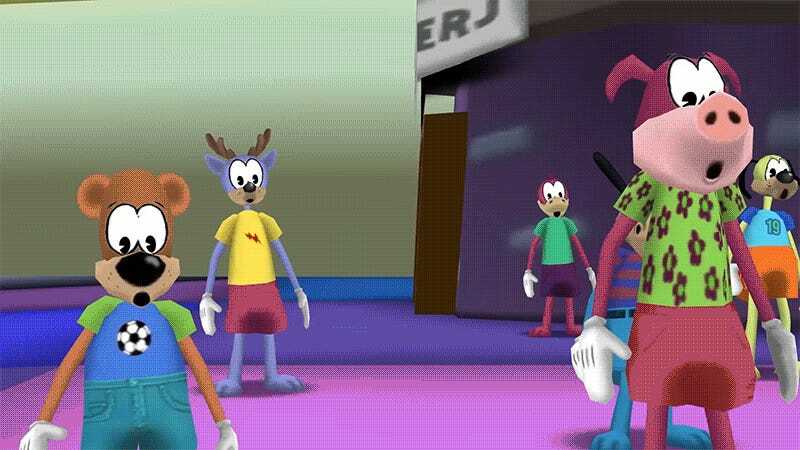 Toontown Online was first launched by Disney back in 2003, and a decade later it would be shut down in favor of more lucrative ventures like Club Penguin (RIP). Back then, features like keybinding weren’t the no-brainer they are today. Players walked their cartoon characters about town with their arrow keys, often using their left hands while holding their mouse in their right like barbarians. It took 15 years and the game’s closure and revival by fan developers for that limitation to finally be overcome. Not only does the update allow players to remap controls to the keys of their choosing, it also adds subtle features like characters accelerating when movement keys are pushed instead of just bursting into a full sprint. In fact, players can even, for the first time, not run at all, propelling themselves forward at a normal walking speed. They said it could never be done. They told us it wasn’t important. They claimed that such measures would destroy the Tooniverse as we know it! I don’t know who “they” are, but today, we’re proving Mr. Whoever-They-Are wrong. We’re taking a step where no Toon has ever stepped before: W.
Not only W, but also A, S, and D! In fact, let’s go for ANY key on your keyboard! Today, we abandon the direction of the Arrow Keys and tell Control that it can’t control us any longer. We’ll delete the Delete key and throw pies the way we want to throw them. TODAY, dear Toons, we finally have OPTIONS! The accompanying video, which treats the update with the importance of humankind standing upright for the first time, is equally charming. It’s good to see an older MMO growing and improving under fan care years after the original creators left it for dead. The world needs silliness. And key-binding. You can now get both for free via Toontown Rewritten.